Dr. Frantz Goddard is smuggling what he believes to be the archeological find of the century: a female humanoid from the ice age. 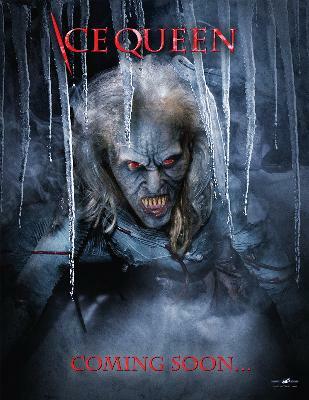 A struggle with a double-crossing pilot sends his plane crashing into the snow-covered Killington Mountains, exposing the humanoid ice queen to the elements and causing an avalanche that engulfs a nearby ski resort. The stunned survivors at the ski resort are trapped inside the shattered building underneath mountains of snow. Even worse, something deadly has been unleashed: The Ice Queen. Thrown from the crash, she has awakened from the cold, gruesomely deformed, viciously powerful, and terrifyingly evil. With little air left and the resort collapsing around them, the survivors must make a deadly gamble: face the ice queen, or certain death. SPECIAL DVD FEATURES: FULL SCREEN FORMAT, AUDIO COMMENTARY, BEHIND THE SCENES, CHAPTER SELECTION, INTERACTIVE MENUS, OPTIONAL SPANISH SUBTITLES AND TRAILERS.